Soybean (Glycine max (L.) Merrill) is one of the most valuable crops in the world, due to its multiple uses as a source of livestock and aquaculture feed, protein and oil for the human diet and biofuel. Among grain crops, soybean is the fourth largest in area and production in the world, after maize, wheat and rice. 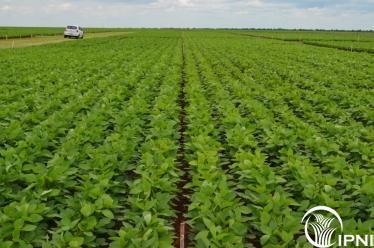 Soybean removes large amounts of nutrients from the soil, and generally receives low rates of fertilizer. Improved nutrient management may improve soybean yields and thereby help close the yield gap between current and attainable yields. It is recognized that nutrient management responses strongly interact with crop management practices. The objective of WG08-Soybean Systems is to increase soybean systems yield through nutrient stewardship and responsible crop management to achieve improved economic, social, and environmental sustainability. ü	Looking for potential yield: what are the restrictions/boundaries? ü	How much N would come from BNF? Do we need extra N for high yield? ü	Soybean response to N fertilization of the system in high intensive systems? ü	Recalibration of soil tests (P, K)? Foliar tests? ü	Current nutrient requirements and removal coefficients, are they right? A Tactical Plan for the WG has been developed, matching the IPNI Global Tactical Plan and the Global Plan responses, including issues or desired outcomes, and strategies for the different WG themes. ·	Field activities at the different regions/countries looking to close the yield gap between current and attainable soybean yields. Over 220 field trials across the globe have looked into: the evaluation of nutrient responses at Sub-Saharan Africa (SSA) (2 trials) and central and Southern Russia (10 trials); the calibration and validation of expert systems such as Nutrient Expert at China (23 trials) and South Asia (183 trials); and the interaction of crop and nutrient management in the US (1 trial), Brazil (2 trials), and Argentina (1 trial). ·	A special issue, and task for the WG, is to update the contribution of biological N fixation (BNF) in soybean nutrition and to the N balance in the cropping systems. A review paper is being prepared, and a series of field studies would be established. ·	Peer-review papers have been released: one by the China staff on the calibration of Nutrient Expert for soybean, and two by the SSA staff on the effect of fertilizer, manure and lime application on N-fixation potential, yield and economics of soybean grown in soils of different fertility in Western Kenya. ·	The research activities of the WG have involved partnering with many research, technical and farmer`s institutions, and involved the participation of many researchers as well as graduate students. Over 15 institutions involved worldwide. ·	Extension activities included the adaptation of existing extension materials on nutrient management for soybeans in SSA, South Asia, and Russia; round-tables and workshops at Russia, China, and Argentina; and presentation of results at several scientific and technical meetings in all the regions. More than 20 meetings and presentations were carried over the last couple years. Expected deliverables for the second part of the project include the release of BC articles, peer-review publications on the results of the field projects, a review paper on BNF, presentations of results at regional and international workshops and meetings, and the continuous update of the soybean portal.